These two photos below kinda show Aria’s life in hospital I think. One min she is lying down peaceful and happy and the next there are two people’s hands in her face. She does really well though. Our dinner tonight. It is sunday night and we didn’t feel like cooking. 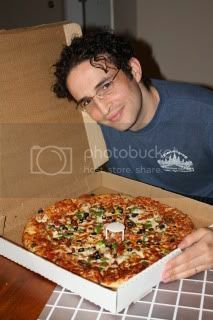 Check out this HUGE pizza- and this was a medium!!! No kidding. It was pretty good and we will be eating leftovers for weeks. 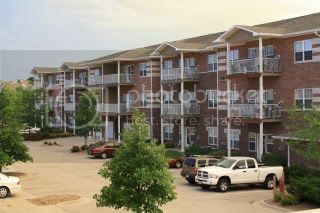 Just for interest sake- a picture of our apartment building. Or rather the second apartment building when standing on our deck. Check out the big truck! This is how to live life right now! There are a lot of positive things to celebrate about Aria’s health. First up- she is on full intestinal feeds. Secondly we replaces her wound vac dressing today and she is healing VERY well. This is a good sign her body is healthy enough to heal itself. The surgeon, Nurse practitioner AND the wound care nurse were totally amazing as how fast it is healing. Also we tried to get Aria to weight bear on her legs today, she did pretty good, about 2 mins with assistance- we are aiming to get her walking again to help her bones and make her life better. FINALLY her sprints on the vent are going great and they dropped her pressure support on the vent again today. But the fact her kidneys are not working is a big concern. She had a break yesterday from dialysis and she peed a grand total of 9mls the whole night! She should pee at least 15ml an hour. The team continue to assure us there is nothing wrong with the kidneys and they will recover. And the other thing is this DARN Pseudomonas that has cultured in her blood yesterday. It is Multi Drug resistant and only resistant to the same drug that poisoned her kidneys and finally put the nail in the coffin for dialysis. ARGH. So we continue to fight. Grateful that the dialysis has worked and Aria is no longer puffy with fluid, down almost 5kgs in pure fluid. She used to have cankles and even her eyelids were puffy! 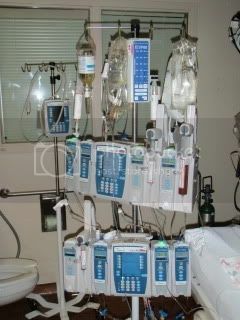 This is what happens when someone needs dialysis, they get puffier and puffier with fluid and dialysis is always a last resort because there are drugs you can use to help the kidneys. Well Aria cultured some more of the seemingly ever present Pseudomonas in her blood cultures so they are back to banging that old drum. They aren’t convinced this is what has been causing her daily temperature spike but they do need to treat it. To this end they have restarted her antibiotic that we know the Pseudomonas hasn’t been resistant to, even though it messes with her precious kidneys. They have also removed both her central line and dialysis catheter just in case some of the Pseudomonas had taken up residence in them. This meant however she needed a peripheral IV inserted into her arm, and a trip to theater first thing this morning to have a new dialysis catheter inserted. She was very brave getting her new IV inserted and the PA that did it was AWESOME at getting it in. She is REALLY, REALLY good at it which is nice because Aria’s veins can be super tricky. Highlight of the day was being able to take Aria to the movie night Child Life put on to watch Planet 51. She and Asher sat next to each other and shared a packet of popcorn and held hands for a bit. She seemed pretty into the movie and generally enjoyed another opportunity to get out of her room. The next big challenge is getting her up on her feet again. Given how long it took for her to decide she wanted to walk to start with, we wonder how she will embrace getting back to walking. Oh well, the fact we are even discussing it can only be a good thing. 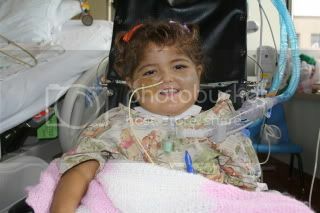 Please pray for her breathing, kidneys, infections and standing. These are the obstacles ahead of us which prevent us getting home and we would really like to get her here. Aria had a good day today. Super awesome news that the 4 hour dialysis run got 2300mls off! WOW! The dialysis nurse was awesome and it was nice to have her in the room for that long. She had the same name as me which Aria thought was very funny. Also Aria started sprints on the vent. A half hour session and a full hour later in the day. She did completely awesome both time. The ICU doc was the same one on this week that was on the week Aria tanked rather dramatically. He said he never ever would of believed on that day she would be sprinting three and a half weeks later. Everyone thought she was down for the count for months. How great is our God? Been having conversations with people about getting Aria home to Omaha (not NZ). One said one month another said four. Sigh. I think I will leave it but please pray Aria might be able to come and live with us soon. She really wants to go home. Not sure if she means NZ or home with us but it is sad anyway. Life continues to march on. 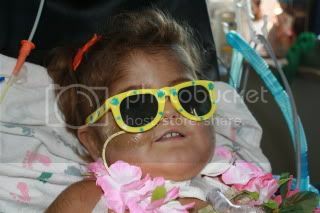 Aria had another round of dialysis and they got 1300mls off! A great result. She had a break on Saturday and she peed a bit which was encouraging. Also since she is on full feeds she is allowed to order meals. Ok so I know what you are thinking- American hospital food- ‘vom’ as my sister would say. Actually it is miles better than the slop they serve as Starship. Ok slop is a harsh word but seriously I wouldn’t feed some of that stuff to my cat. Here it is much like room service at a hotel, you ring with your selections and they deliver within 45 mins to your room. She has a menu which is fairly extensive including lots of stuff you won’t see in a kilometre radius of a govt run hospital like streaky bacon, deep fried chicken strips and lucky charms. She is so excited and we read thru the menu and last night she had mac and cheese and sugar free chocolate instant pudding. She did try the mac and cheese by licking the sauce but didn’t want to try the pudding. Aria is a busy bee during the day. She had lots of visitors yesterday from Bridget the music therapist, the preschool lady and Gloria a volunteer who always does fun things with Aria. Aria did all her preschool activities, charged thru the whole box of goodies AND listened and enjoyed two stories. 45 mins of productive playing and learning. In between she and I surfed nickjr.com. We brought her a little wireless mouse, bright pink on clearance at target (guess only 3 year olds want bright pink mice) she happily clicks away. Yes Aria is still 3 in our minds and hers. We are going to celebrate her birthday next Monday with her I think. Hopefully that will give us enough time to plan and organise everything. 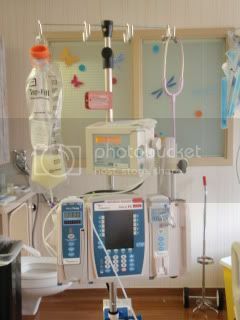 I am finding my days in hospital very enjoyable but very hard, dialysis has made it worse. The sessions are 3 hours and there is a nurse in the room for the full three hours. This is on top of the RTs checking the vent and doing breathing treatments, pharmacy staff checking the meds, physical therapy, occupational therapy, people checking o2 tanks, cleaners, nurses, doctors, nurse practitioner (3 visiting once a day). Some of those people Aria knows which is fine. Others she doesn’t. Some want Aria to wave and say hi. Aria doesn’t- she just wants them to go away. I feel like someone is watching me, it is like living in a fish tank. Actually it isn’t even a feeling, someone is actually watching me for 3 hours a day. If I am interacting with Aria I have to field questions at the same time, yes I have an accent, yes the weather is different, yes Aria is cute, yes her eyelashes are long, no she hasn’t eaten before, yes she is mad, yes she smiled, yes she wants to be moved (no thanks I will do it). Often I am having a conservation with a doctor or NP whoever else is in the room decides to chime in. Or staff members decide to have a conservations about their kids/dog/drive to work with each other while Aria and I are trying to play, loudly too as Americans tend to speak louder. Honestly all this stuff drives me crazy. Really all these people mean well and are trying to be friendly. We love our nurses and some people we look forward to their visit each day and Aria does too but after 6 + months I am over it. Whinge over. Oh and GO THE ALL WHITES! Look at this smiling face- isn’t she CUTE?? Aria has become very interested in our food and we encourage her all the way. This is some of my soup I had for lunch and I gave her a little bit. She listened carefully when I said she could eat like Mummy and Daddy now and didn’t have to spit out her food. She took more tastes and didn’t spit it out. Even tried crackers and didn’t spit them out and tried to chew. For her first class at Eating 101 I think she did really well. Can you see these IV pumps- They are OFF!!!! That pole used to be burden with pumps- two sets (8 meds runnings) and green lights everywhere. The bag of white fluid is NOT TPN but formula made particularly for Aria and connects to her ‘nose noodle’ No more sterile technique- you mix and go. Most of Aria’s meds GO THRU HER BOWEL!!!! 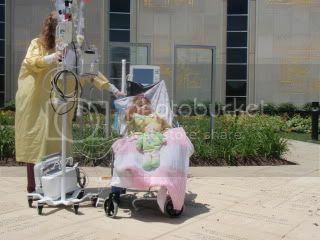 Found this photo from after the 1st transplant and TPN isn’t even on. Busy work. Aria has had the strength of a newborn baby. She hasn’t been able to hold up her head or sit up for months. 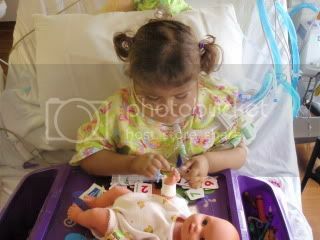 Can you see she is sitting up with a pillow behind her and able to focus on the task of putting an IV into her ‘wiggle baby’ tricky finger work. She is able to hold her head and look around and sitting up without falling left or right. Aria woke up happy and gave me kisses this morning. Apparently she woke at 5am (spiking a temp booo) and blew kisses to her nurse! Funny girl. Anyway she was in a good mood and we gave her a bath washed her hair. Lindsey (who we brought the car off) had given Aria a little pink princess crown and some beads. Aria eagerly fished them out of my hand bag and put the crown on her head, she thought it was awesome. 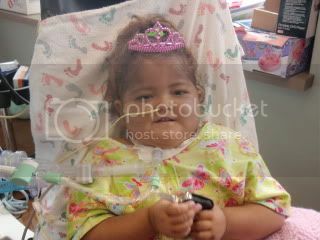 So we got her up into her wheelchair were she sat with her green butterfly gown and pink princess crown and her Dora blanket on her lap. Honestly I am so stinkin mad at myself for having the camera at home. We cleared the bed and ‘stuff’ aside and she held court in her room for the morning. Big grins at rounds from everyone seeing her looking so bright eyed and rocking her princess crown. Dr Botha said it made his day and it is the best she has been since she arrived in Omaha, the team all happily agreed as they when off down the hall chatting about her progress. Today on dialysis they took off 1245mls! YAY! Her BP got a little low at the end but they gave her a saline bolus and that perked it up. Her WBC is down from 39 to 24! Yay. She looks great. On the flipside we had a terrible night with Asher. He woke every couple of hours yelling and crying. Our theory is he was hungry but got confused about which was tummy pain and which is hunger pain. In desperation Hamish walked over to the donut shop and got him a donut and chocolate milk and he ate it and was heaps better. 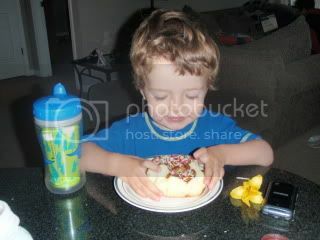 I know- questionable parenting- but it was the only thing he would eat! The rest of the day he had a couple of meltdowns which is sooooo unlike him I almost didn’t know how to handle it. Hopefully tonight he will sleep and feel better. He slept from 4pm to 7pm (when I had to wake him to go pick up Hamish- last time now we have a 2nd car YAY) and I am pretty sure he will sleep thru tonight. 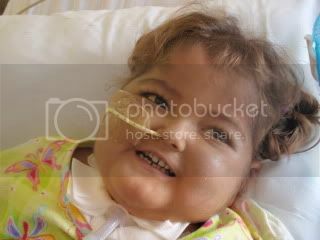 Today Aria had her first session of dialysis. The fellow got a line in her shoulder first shot no problems. It was kinda emotional and difficult for various reasons but we got there in the end. Normally kids in the PICU are on 24 hour dialysis but Aria is having a 2 and a half hour session. There are two more machines in the room and an extra person so it is a bit of a burden. At the end of the session I was sold on the idea and finally convinced it was the right thing. They got 750mls of fluid off, her volumes on the vent increased AND she seemed happier. She was blowing me air kisses after it finished it was so cute. The verdict on her kidneys is that they are currently poisoned and not happy. Poisoned unfortunately because they had to be to, they were the whipping boys so to speak for Aria’s treatments. The team assures me they will recover. The test for antibody rejection isn’t back yet and it it pretty tricky to biopsy but they aren’t thinking rejection. Hamish and I just did a test drive of the car and we are also sold on it! So stoked, we have big smiles and are so thankful it has worked out so perfectly. We have some paper work and a cheque to get to our friends but we will be the proud owners of a nice silver 2001 PT cruiser for a crazy low price Thanks John and Lindsey. Praise God for His mighty hand in this situation. So today is a good day. Asher is also on the improve. No D&V for 48 hours and no panadol/Tylenol today and he only spiked to 38.2. He is pretty grizzly, well enough to be upset he is sick but not sick enough to be down and out on the couch. Poor little dude. ****Update**** In consult with the renal team the transplant team have decided to start Aria on dialysis tomorrow morning Still praying Aria’s pee will pick up overnight and avoid this but God’s perfect will be done. Today the team got more aggressive with diagnosing what is up with Aria’s kidneys. It has been a very difficult day. First up I was home with Asher and Hamish spent the day with Aria. We are quite unique and blessed to have TWO parents involved in the process of having an hospitalised child. More often than not mum is in hospital and dad is working. But like all situations there is a downside. It means that one is home waiting by the phone/computer for updates when the other gets a moment to get to the computer or phone. Which some days is hard with the endless stream of people. Today Asher is still spiking temps so obviously I couldn’t take him in and come to rounds. At rounds they decided a bunch of tests were in order. There were a lot of different scenarios and none of them good. 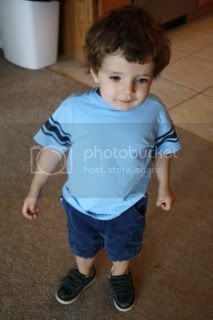 A ultrasound was scheduled to check for blood flow to the kidneys, lesions and fluid collections. 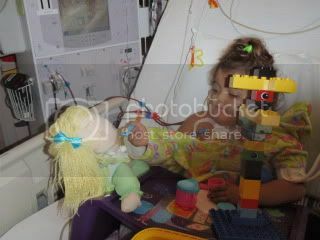 The worst one was a contrast study of Aria’s bladder to see if the new procedure mentioned in this post had died and urine was leaking into her. That meant there was significant damage to her bladder and there would have to be surgery to reconstruct that area and her kidney plumbing. A very bad outcome. There was also a blood test for rejection (nooooooo!!!!) and for viruses. This morning was awful, I just sat on the bed and cried and cried. Why is God allowing this to happen? Why were her kidneys working so great last week and now not? When will she catch a break? Why couldn’t Asher be well so I could be in hospital to hear this for myself and allow us peace? I opened my bible to this passage and read it and cried some more, yes I know you’ve seen it on the telly, its what I do. Asher was safely watching Dora in the lounge so I gathered myself together and jumped on Facebook and email to distract myself quickly. Yesterday I had a nice chat with Carol who kindly rang to see how the kids were. We got on to the topic of a second car. I told her we really are starting to realise more we do need a second car but don’t have the energy to search car yards and the internet. God would need to basically plonk one in our lap, plus we weren’t sure if purchasing one was the right thing and God’s providing would be the confirmation of that. So as I sat on Facebook blowing my nose like an elephant an advertisement for a car popped up on my feed posted by my friend Lindsey. Of course my friend Lindsey who lives just down the road from me and has encouraged me so much thru her struggles and triumphs raising her 2nd daughter with health blessings like Aria couldn’t possibly be selling a car in our price range (very low). That was too good to be true so I promptly asked her if it was spam. ‘O thee of little faith’ are the words you are looking for! Of course it wasn’t spam it was a car in our price range that was an automatic and has run reliably for them the past 5 years and is in good nick. Perfect! How good is our God? Just minutes after crying out to Him He answers my prayers in a way I was NEVER expecting. Look- He is providing for us even in moments of darkness. The rest of the day was waiting for tests and pretty hard. Turns out the ultrasound was perfect nothing remarkable there. The contrast study was also perfect— MAJOR RELIEF! The rejection test will be back tomorrow and the viruses will take a few more days. Aria has cultured another bug in her lung and they have changed her ABX. There is still hope the kidneys will just start working and perhaps the change in ABX will help. Our hearts are just broken for our kids this week. It has been hard to see Asher so down and out with this sickness. We just don’t have the reserves to cope with normal kid stuff and to watch our bright bubbly boy sick. We just want Aria to be well and home and happy and have quality of life. This seems so unobtainable right now but we know ALL THINGS are possible with God.